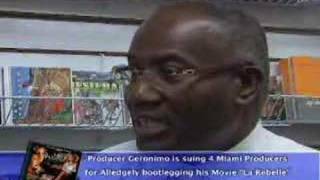 Christopher you are correct, but If your doing a Haitian movie in America you must also tell the story accurately. your main characters are Haitian and its great to have them speak creole to one another, but when one of them go to work chances are some if not most of his co workers speak english. If he goes to the doctor his MD most likely speaks english. So I think there are choices that need to be made. 1. Shoot your film in Haiti then you won't face that issue, but if you the filmmaker reside in the US its too expensive to shoot in Haiti. 2. disregard that your film sets place in the states and Have every single person your character encounters speak creole. But does that make your film accurate location wise? Creole is great, but if your film is shot in the states there has to be English in it at some point. The characters are fictitious but the stories need to be told accurately showing his/her story in America dealing with his people and others. Our nation will appreciate that and they will see how their fellow man/woman is living in the states.